HAPPY VALENTINES DAY GIVE AWAY! Happy Valentines Day, sweet readers! In honor of Valentines and our shop’s third anniversary, we thought we’d do a GIVE AWAY! This is one of our NEW signs that we’re offering this year, and it has a new frame style. To enter to win, leave a comment telling us who in your life belongs among the wildflowers! If you’d like an extra chance to enter to win, tell your friends on Facebook or Instagram about the give away! I’ll announce the winner on Monday morning. Rachel - I would love to hang this in my classroom! Betsy - Oooh…I’ve been to your shop before and drooled on all the signs! What a fun givewaway! My triplet boys with autism would be my choice. What innocent, lovable sweethearts they are! sarah moske - I love this! It would be perfect in my daughters big girl room! laura@top this top that - What a fabulous sign. Congrats on your shops anniversary. Jennifer h - My sweet daughter belongs amount the wild flowers.. She is so kind and unique. Truly a gift in my life. Debbie Overton - Love the sign and would love to have it hanging in my studio to remind myself I deserve me time with my camera searching for wildflowers! Erin Moreland - I love this Tom Petty song!! My daughter definitely is a wild thing she’s 2 1/2, & we just got her home from China right before Christmas. I love her spirit!! Kelly Galvin - My beautiful girls belong among the wildflowers! Lisa Laurie - My son Cole belongs there. He has such a free spirit. I love watching him bloom. Susan Noland - My new baby grandson coming in July belongs among the wildflowers and I haven’t even met him yet! Kat price - My daughter, Mia belongs with the wild flowers. I want her to fall in love with The Lord and go wild over him and seek His adventures. Vicki Schulte - I didn’t even have to think about this, it would be my 17 year old daughter Cameron. She’s always been a free spirited, but strong willed kid, and when she was younger, I would pray that The Lord would channel all of that in the right direction! So,, at 15 she came home and said I’m going to Kosovo (umm, where exactly is that, anyway?– and excuse me, you’re only 15) for 3 weeks and work in a summer camp and show these people Jesus. And, she did. Then, she did it again last summer. She has big dreams, and she isn’t afraid of what the world tells her isn’t possible. She is a wildflower! Jenn - I would hang this in my daughters’ room. They remind me every day to smile and laugh! Tammy - My daughter – she is definitely a wildflower! Lisa~A Cottage To Me - My daughter, this sign would be perfect for her dorm room! Alyse S - About to have my third little boy in a month- with all the boy things that daily surround me I need a reminder to take time for my girly self. This would be perfect. Carissa Stelter - My friend, Lindee Katdare, belongs among the wildflowers! Lacie Groeninger - My cousin Erica Jane Smith! Our late grandfather always called her his “wildflower” and I know this sign would be a precious and sentimental gift for her to always remember him by! Susie Harris - I think this is one of my favorites! My brother passed away a few years ago and this just spoke to my heart. I smiled when I saw it and thought of him. Thank you for bringing his sweet memory to mind. Love your new frames and look. Beautiful work as always! Happy valentines day! Ashley - My sweet little boys in heaven, of course. Amber Wooten - My sweet boys….summer time and warm weather. That, they can’t get enough of. Hanna - My sweet girl Fiona belongs among the windflowers for sure!!! Kristin - Anyone in my life belongs in the wildflowers, but I would have to say my two sweet boys. I want to encourage them to “bloom where they are planted” and not be like anyone else or like the world. God made them unique and “wild at heart” (just like the book says). I want them to follow God, become who He made them to be and live in wild abandon for Christ. Athena - My sister belongs among the wildflowers. She recently lost her job, lost her apartment, and found herself homeless. One thing she didn’t lose was her childlike opinion of the world or her faith. I’d like to give her this sign because I think it would certainly brighten her day! Becca R. - oh wow!!! I have had this exact sign saved to my favorites for a few weeks now, and today (on my birthday) I see you are giving it away!!! I would love to have this sign for my daughter Harlo. She is wild and brave and beautiful. Her daddy and I used to listen to this in the car waaaaay before she was born. The first time I saw this sign I immediately thought of her. Tracy E - My boys belong among the wildflowers! michele m fry - I would love to put this in my daughters bedroom!! Karin Mantor - My 17 year old daughter,Emily,belongs among the wildflowers! michele m fry - I also shared on intagram too!!! amy jupin - my sweet daughter, anna. yesterday, in the warmth of the afternoon sun, i watched her hug the snowman she built wednesday night, her eyes bubbling over with tears. she’s almost ten years old-with a heart as big as the ocean is wide. i’ve never known anyone who loves so much. she is my wildflower. Linda Jo - My 2 year old granddaughter belongs among the wildflowers for sure!!! Emily - My little man Hudson who was taken from us way too soon at 30 weeks! This would be a great reminder of him! I miss him more than you can imagine and think about him constantly! cindy - my sweet daughter. thank you. Rachelle Woodruff - I looked in Gods word to see what he would want us to know about wildflowers:) I wanted to do that before I decided who I would want this for. I found my answer in Matt 6: 28-34 and Luke 12: 27-28. Both places are teaching us not to worry. Rachelle W - So..I would love my daughter, Riya, to have this hanging in her room as a reminder that it doesn’t matter about our outward appearance, we need to long to be clothed by what The Father wants for us. He took care of the lilies and grass of the field,He will also take care of us:) I hope she learns this much earlier than I did! Rebecca - My youngest boy, Cole belongs among the wildflowers…he lives life as he loves it and it is amazing to watch! A great kid!! Megan - My sweet husband who is having a hard time with a recent passing of a close friend. 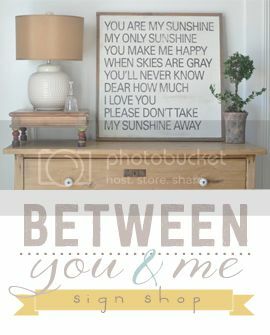 Shannon - My oldest daughter, this would be perfect in her room! Alison - My four kids belong among the wildflowers!! Veronica - This sign would be perfect for my daughter Ciara, she is living in the wildflowers. Cassie Goff - It is the dead of winter where I live, in Minnesota! I definitely belong among the wildflowers right about now! Debbie Cook - Love it! Shannon Q - My Lily Jane for sure! Jamie - My middle daughter belongs among the wildflowers – she is her own kind of wild and beautiful. Liesl - Whenever I think of wildflowers, I think of my mother who would make us memorize the names of wildflowers along the highway as we traveled to see family in Michigan. Danielle a - My oldest daughter. She is caring and bold and loves to dance in the open fields on vacation. She’s full of joy and has a selfless love for others. I learn from her daily. melissa - My daughter. …..especially since she has 3 crazy brothers! Candace Queen - My daughters Ellery and Emersyn belong among the wild flowers. They bring beauty to my life everyday. Juli Elgin - Did them all. Twitter, Facebook and Pinterest. Love the signs. My wildflower would be my granddaughter Ava, she has such a free and loving spirit. Corrina Elliott - My Cousin Lisa belongs among the wildflowers! Rebecca C - My daughter. Tara - My daughter Madeleine! Beautiful sign, thanks for the contest. Kristina - My precious daughter belongs among the wildflowers! Melissa Bailey - Oh.my.stars! I need this My sweet littles belong among the WILDflowers!! haha and so does little #3 due in July. Love your work and miss you guys! Can’t believe how big YOUR “littles” are! Lynne - My wonderful son – who is so true to himself. Shannon - My funny, smart, brave daughter! Shannon - My sweet mom, she is everything to me! Thanks for the chance to win! Amanda Olive - Gosh, so many folks… Gray, my five year old. His spirit is bold but gentle. His little five year old wisdom knocks me down at least twice a week. 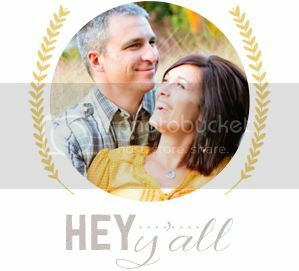 Debbie w - My husband definitely……but I have lots of wildflowers around me that makes me thrive! Would love to win ! Deborah - For me it would be my first born granddaughter Taylor. My beautiful, unique and free thinking sweetheart. Thanks for the opportunity. Sandi - This would look great I my daughters room. She is my lovey wildflower. Jackie - It would be my daughter. She began working at a local plant nursery when she was just 12. She began a precious relationship with the owner, and she was there until college. She definitely has a love for all things flower related, so this definitely fits her. Awesome giveaway! Tricia - My sister-in-love deserves some fun among the wild flowers. She has become a huge blessing to me (and the whole family!). She knows every part of me and my life and she still chooses to love me. Annie - I help to manage a transitional care home for little ones in Kenya — we take in babies who are removed from their homes (sometimes orphaned, sometimes neglected or abused, sometimes sick/malnourished) and do whatever we can to make sure they grow up in families and not orphanages. Sometimes it looks like working with extended family members or empowering moms, other times it looks like a Kenyan family stepping up to take in a child long-term even though the child cannot be legally adopted. Anyway, we are constantly trying to sing love over these munchkins while they are in our care and something like this on our walls would remind us and the kids how crazy about us He is and how deeply He wants us to live in that love. debra myrick - My “growing into a woman” niece, Hannah. She is a wildflower! Sally - For sure it’s my daughter who belongs among the wildflowers! Andrea wenger - Me. This has been the hardest year of my life. This sign brings happy thoughts and memories of happier times and dreams of happier times to come. stephanie - My kids and husband!! sara s - My daughters: brave and beautiful inside and out. Thanks for the chance to win this beautiful sign! Your work is always so wonderful. Courtney - Forsure my 8 yr old daughter!! She loves everything about the outdoors:swimming, horses, fresh air, frog catching….she’s my little Tom boy! ellie - my little china girl tia -she definitely belongs among the wildflowers! Dawn - My daughter is a wild-flower and I LOVE that about her. She is always dressed in sparkles…. and I always tell her “Don’t let anyone take away your SPARKLE”….. I would love to add this sign to her room…. I want to make sure she is PROUD to be a wildflower… I am sure proud to be her mom. Dawn - My best friend – definitely, she’s a beauty, inside and out! Erin - Actually, when I saw the sign, my daughter immediately came to mind. She is 16 & autistic & when I read it, I just saw her walking through a field of them with her big giggly smile. Emily Pleau - My Mom, she is beautiful and graceful. Gretchen N. - My 4 daughters! They are each unique & beautiful. Angelique - I thought about my one daughter, Bella, the moment I saw the sign! She’s our funny, feisty, crazy one that loves to be free & wild, not caring what everyone else thinks. We love her so much & I would love to hang this on her wall! Thanks for the giveaway!! JGrim - I’d say my son, the beautiful soul that he is. Then he’d pick them and bring as a gift for me. Makes me smile thinking about the times he has done just that. beverly - congrats on your shop anniversary!!! love all your signs! i also would have to say my daughter. even at the age of 4, she has a carefree, Godly spirit that makes me smile. Dawn H - Your signs are amazing! I love how you share your heart and how Jesus is so true in walking with us not matter what our journey here brings. Dawn H - Oops forgot to tell you who…my daughter who is graduating from high school soon. It is such a gift to be able to watch her grow into the woman that God has planned…the sign is perfect. Rebecca Siak - I love this! I would say my sister who is my best friend belongs among the wildflowers! Julie b - Me!!!! Cause that’s where I tend to go! Tracy - This sign reminds me of my daughter for sure!! I would love to hang this in her room! Thanks for the chance to win and Happy Valentines Day!! Kim walker - My mom belongs among the wildflowers. She is precious! renee miles - my boys definitely belong in the wild wood, so I can omly assume that our little girlie coming in 6weeks will belong in the wildflowers.I think this would be lovely in her nursery. Thanks for hosting a giveaway! Theresa in Nebraska - That would be my sweet grand-daughter Ava…Love your shop! Lauren Dials - My little boys belong among the wildflowers! They are at the center of my heart and soul and are so inquisitive and thoughtful of their surroundings and everyone in it! We are in the process is building our first home and this sign would be so nice to hang for them! It would be our second sign from you guys! We had the honor of meeting you and your husband at the Country Living Fair this year and you were both so sweet and personable. You commented on how you liked my gold jacket which my husband hand commented on how bright I was that day so it made me feel better I shall send a pic when we get to hang our sign that we purchased in our new home! Cathy Chapman - I guess I would have to say, well…..Me! I belong among the wildflowers. I have always marched to the beat of my own drum, and have never really fit in where lots of others seem to, it’s a good thing! Blessings! Shannon M. - Oh my goodness…. I read all the responses…. Every single person deserves to be among the wild flowers!!!! So for my post I would have to say not just one person but everyone… So I would place it in my entry so everyone that crosses our threshold would know they are worthy… And belong among the wild flowers. Thank you so much for sharing your art. JENNY - My friend Maria belongs among the wildflowers. She is a devoted mother and wife who always, always makes people smile with her zest for life. Lovely sign and sentiment! Kimberly Allen - Both of my daughters! Jen - My daughters belong among the wildflowers! It’s hard to believe how fast they have grown into young ladies! Deidre - I would love this for my daughters’ room. So beautiful! kacie - my daughter that we adopted from China!!!! xo. love your work. i have 3 signs of yours in my home already!!!! Michelle - My sweet, nature loving Kate belongs among the wildflowers! It would be perfect for her tween room refresh! Jerri C. TN - My beautiful daughter, Maddie, who just turned 16, belongs among the wildflowers. She is a beautiful, spirited, young woman, who is not quick to judge. She is a wildflower. Lemonade Makin Mama - Oh girly… your stuff is so gorgeous. And inspiring. I am loving all the scrolly lettered signs! Tanya - I love the sign. so cute. I would have to say my granddaughter who is two would definitely belong among the wildflowers! Gloria York - Love it!! Sandi - My beautiful daughter Abbi! She has a style all her own and is full of creativity! Kelly Cach - Is this Lydia’s room?! So in love with every darling detail! And I know the give away is over, but I just have to write about my mother-in-law…..SHE most definitely belongs amongst the wildflowers. Though it makes me sad she’s not a believer (in the one true God), she in turn makes me feel heard and understood. She completely accepts me for who I am–genuinely interested in me and my story, and supports and encourages me to “be true to myself.” She never judges…anyone. Sometimes I think she understands that better than most Christians I know. Now if she only knew Jesus ;). I’ll continue trying to convert her :). Oh, and she IS a wildflower….a true hippie before hippie was cool. And she has the most INCREDIBLE back yard of wildflowers that I’ve ever seen. If I need to imagine a happy place, I think of her yard in Spring time :). Gloria York - I have a question – could you please tell me about the crown in the picture?? Is it metal or wood and did you make it? If so, is it for sale and how much? I love it!! Thanks for the information and love your blog!! ©Between You & Me Enterprises 2013|P4 Photo Blog by NetRivet, Inc.